Bringing together Judaism, disability & education. Making disability inclusion a reality for Jewish and other faith-based organizations through training, dialogue and real-life experience. Blog by Lisa Friedman. I have often used the phrase, "Everything I need to know I learn from Facebook." While a bit of a play on "All I Really Need to Know I Learned in Kindergarten," I really can learn quite a lot from quick scrolls through my newsfeed a couple of times each day. Sometimes I learn of a challenge a friend is going through so I can offer support. Sometimes I learn of a great accomplishment and can share in the pride. An amazing young adult that I have been fortunate to get to know through my time spent at camp posted that she overheard a mother tell her young daughter, "Practice makes better." So struck by this as she herself was raised on the mantra of, "Practice makes perfect," she approached the mother and shared how impressed she was to hear this being taught. The story gets better (Right? Because this isn't already awesome enough?!?). The mother explained that it was the daughter who taught the phrase to her. 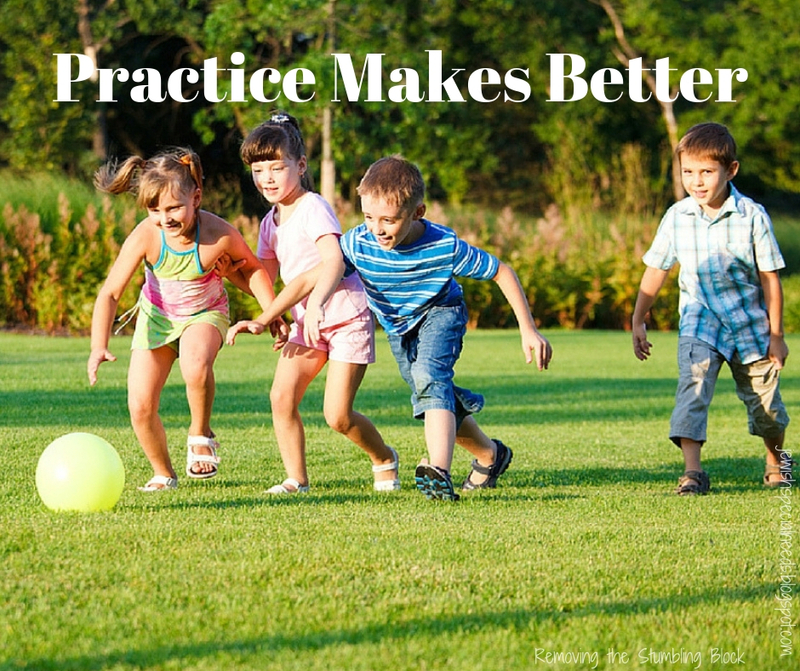 How many times have you said, "Practice makes perfect" to yourself, to your children, or to your students? Is perfect really what anyone is working toward? Is this a realistic expectation? What is perfect, anyway? Why teach our children to strive for something that can never be achieved? Why hope for it ourselves? So simple. So logical. So much more meaningful. Practice makes better. And what a powerful model for inclusion. We can grow. We can improve. We can do more. Practice makes better. Whew. We made it. Another Jewish Disability Awareness, Acceptance, and Inclusion Month in the books. Quite a few people have heard me refer to February as tax season for those of us in the Jewish disability inclusion world. I am not even a little bit sad to see the month come to an end. It is certainly a wonderful opportunity to raise awareness while highlighting great resources and the opportunities that already exist within our communities. I hope it has and will lead to the opening of new doors that were once closed. In a world that still focuses so heavily on programs over relationships, I worry that JDAIM itself becomes the answer for some communities. I am begging you to remember that in and of itself, JDAIM is NOT inclusion. No one program is inclusion. Inclusion is a mindset. Inclusion is a way of thinking. Inclusion is how we behave and how we treat one another. It is a philosophy that embraces the idea that everyone has something of value to contribute and that everyone has a right to belong. 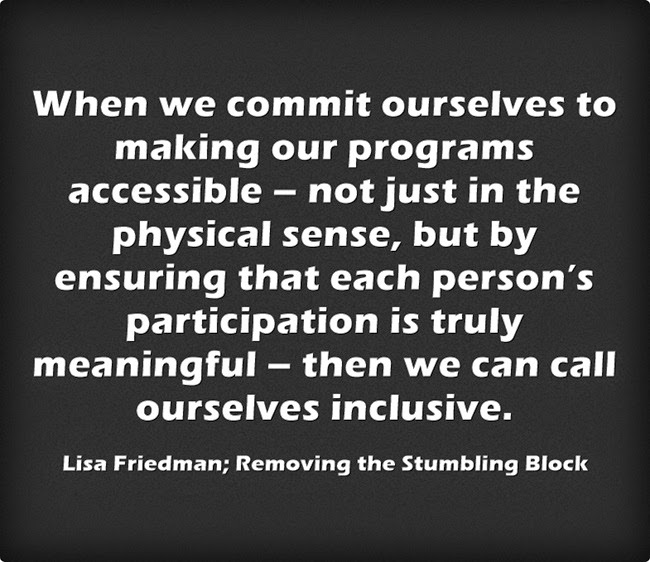 When we commit ourselves to making our programs accessible – not just in the physical sense, but by ensuring that each person’s participation is truly meaningful – then we can call ourselves inclusive. We are not there yet. So use the inspiration that the month of February provided and move your community forward. 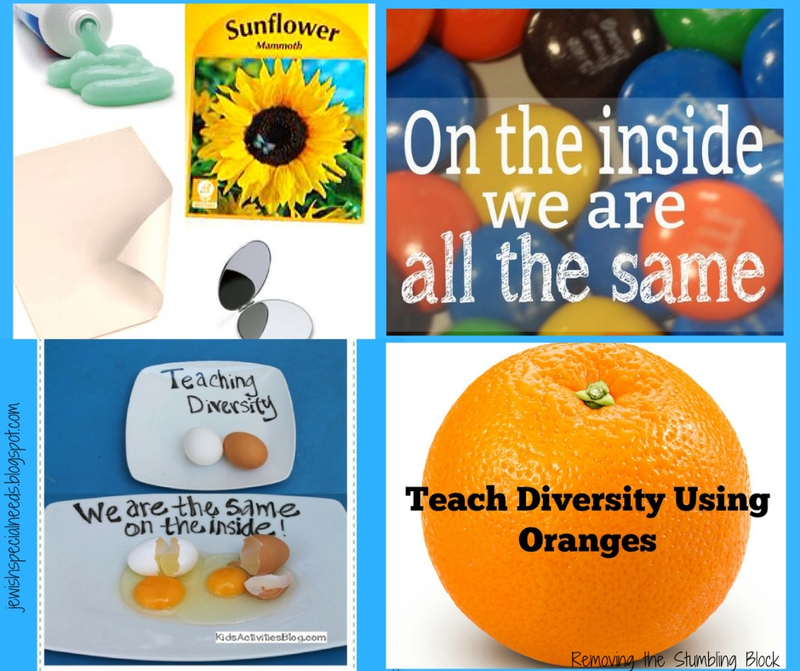 If you Google "teaching diversity in the classroom," you will find dozens of great articles about helping children to learn about and appreciate multi-cultural and racial differences. This is wonderful. This is important. This is necessary. And this is a missed opportunity to also teach about differences in ability. Display a bowl of M&M’s. Do not let students touch the bowl or the candy. Make the following statement: We are just like this bowl of M&M’s. We may appear different on the outside, but we are very much alike on the inside. Let each student have one M&M to eat. Ask them to bite into it, if they can, to look at the inside. Compare insides, noting how they are all the same. Say: We may like the red ones or the green ones best, but that does not mean the yellow ones aren’t as good. This is the same with people. We may have some people who we like a lot, but this does not mean other people are not as good. The M&M’s are all made of the same ingredients to make chocolate. 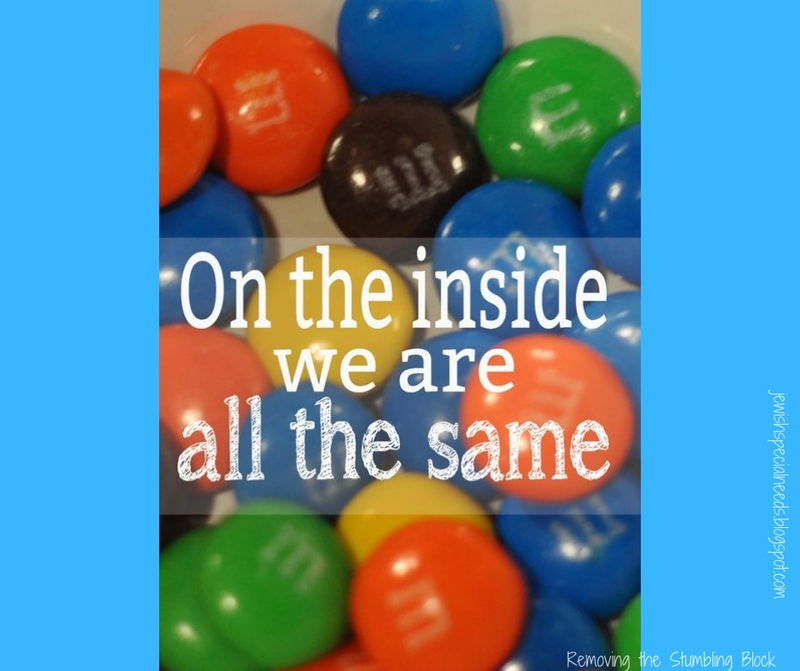 Just like M&M’s, people are all made of the same things. We all have blood, muscles, skin, a heart that feels, and yet we all look different on the outside. What if you were all the same size, shape or color? This class would not be as interesting or fun. Our differences are what makes life exciting. As an extension: Read the poem Different. It can be read as a class and discussed, read in small groups and discussed, students can read and then write their own poems, etc. Hey! Hey! I’m just me! I’m different from anyone else you’ll see! Hair that is darker than Nancy’s too. Nor really blue, but in between. I’ve got more freckles than Don or Fred. And he’s got the happiest grin in town. And we’re all as different as we can be! What are some of your favorite activities for teaching diversity? How can you be sure to include diversity of ability? There’s a buzz in the Jewish Disability World. Can you feel it? We are about to embark on the beginning of yet another Jewish Disability Awareness, Acceptance, and Inclusion Month; affectionately known by those who love acronyms as JDAIM. This name has actually evolved over time. First was the addition of "Inclusion" and this year's addition is "Acceptance". JDAIM can be a wonderful opportunity to raise awareness while highlighting the many great resources and opportunities that already exist within our communities. Personally, I always hope that it will lead to the opening of new doors that were once closed. However, I tend to get put off by the hoopla and the congratulatory pats on the back for great programs and events. JDAIM actually makes me a little nervous. In a world that still focuses heavily on programs over relationships, I worry that JDAIM itself becomes the answer for some communities. I want you to remember, no I NEED you to remember, that in and of itself, JDAIM is NOT inclusion. No one program is inclusion. Inclusion is a mindset. 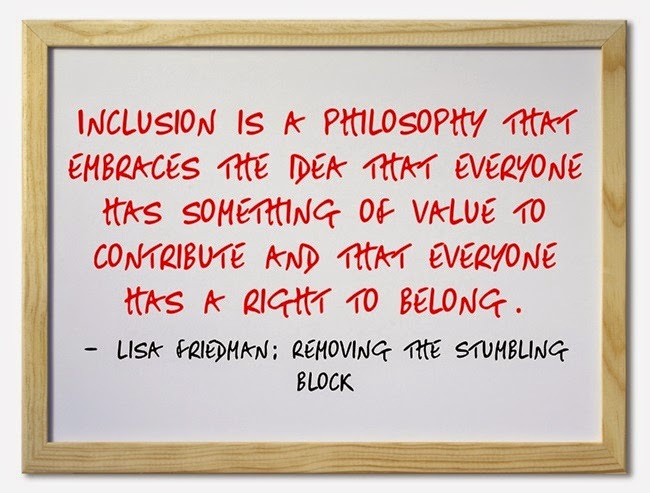 Inclusion is a way of thinking. It is how we behave and treat one another. It is a philosophy that embraces the idea that everyone has something of value to contribute and that everyone has a right to belong. When we commit ourselves to making our programs accessible – not just in the physical sense, but by ensuring that each person’s participation is truly meaningful – then we can call ourselves inclusive. Then we can pat ourselves on the back and celebrate our success. But we are not there yet. You are a Jewish professional or a lay leader who cares about your community. You are deeply committed to the people and the organization you serve. You make it your business to read, stay current, understand trends, and learn as much as you can. You understand that what you do is about more than the people you serve; you recognize that the future of the Jewish people rests in your hands. I admire you. I appreciate you. I respect your commitment and recognize that you want what’s best for your community. And I know that deep down you genuinely want to live the values you believe in. But you are still struggling to get it right when it comes to inclusion. Despite your best intentions. I love that you are learning about person-first and identity-first language and that you are trying really hard to break habits and change a culture. I get it. It’s hard. It’s really hard. You have to realize that what you say always matters. Others are looking to you as the example. All your good work will be ignored when what you SAY about that work misses the mark. This is why you have to get it right. This is why you have to pay attention to all the things you shouldn’tsay. But first, before I share my list of what you shouldn’t say when talking about disability inclusion, let’s clear one thing up. I want to be transparent about what I mean when I use the word INCLUSION. Inclusion is an ideal. It is a state of being and a mindset. Inclusion is what we strive for our world to be; it's not a place, not one person, not a moment in time. I wish it wasn’t an ideal, I wish it was consistently REAL – right now, all the time. I wish inclusion could just BE. But it isn’t yet, so we work toward it and strive for it and continue to celebrate it as an accomplishment because we have yet to get to the place where inclusion just IS. SO…if you are still with me, and you believe in what I say, we have to, HAVE TO, work on what we say. NO. You don’t. You may have a great program. And if you are doing inclusion right, it is a seamless part of everything else you do. But then you wouldn’t have to tell me about it, would you? The minute you tell me all about your great inclusion program, what you have said is that you separate people with disabilities from everyone else. 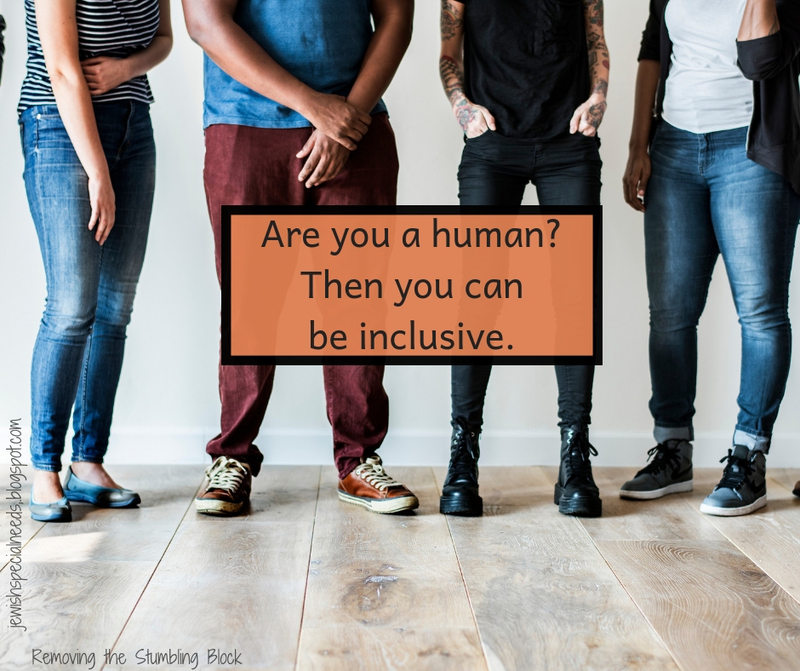 Even if everyone is in the same room– when you reduce inclusion to a program you perpetuate the idea that it is an add-on, an extra “something” you had to design or develop or create. No, you do not have a great inclusion program. Ugh. I just read this one this week. From a very well-intentioned lay leader who is working hard to ensure that his congregation is as inclusive as it can be. And yet, the minute I read his comment about plans for their upcoming Inclusion Shabbat (see #3 below) which will include reflections from members of their inclusion community, I cringed. How about just members of our community, period? If you really must highlight that a person with a disability will be a speaker, and that person is comfortable having their disability highlighted in this way, then say exactly that in whatever way they want you to. But “members of our inclusion community” just singled people out as “other” and undermined your whole effort. I will admit that this one is a little trickier. I understand the desire to raise up the value of inclusion, and I also recognize that this can have merit as a tool for awareness raising. This is one of those places where I think the distinction between Inclusion with a capital “I” vs. inclusion with a lowercase “i” comes into play. Inclusion with a lowercase “i” takes us back to Number 1 – it’s about who we want to be. But the value of capital “I” Inclusion can be about bringing attention to an issue. It’s not that this is the only Shabbat that is inclusive (I hope! ), but rather, it is the one where you celebrate inclusion and help others to understand its critical place in our Jewish world. Just like you sometimes host “Pride Shabbat” or “Social Action Shabbat” as ways to lift the values of LGBTQ Inclusion or tikkun olam, so, too, can you lift the value of disability inclusion. Just know your goals. Again, NO. You don’t. If you have designated one classroom to be the place where children with disabilities learn with their peers, then you have one classroom of mixed abilities. When you call it your inclusion classroom, you once again perpetuate the idea that inclusion happens in one space at certain times. Now, can you have one or a few classrooms of mixed abilities within a school? Of course! And there is so much value to that. It can be a way to maximize resources and meet student needs the most effective way. What I am emphasizing here is strictly the way you speak about it. You do not have an inclusion classroom, your school is inclusive and you have many ways to meet students' needs. Are you a human? Then you can be inclusive. 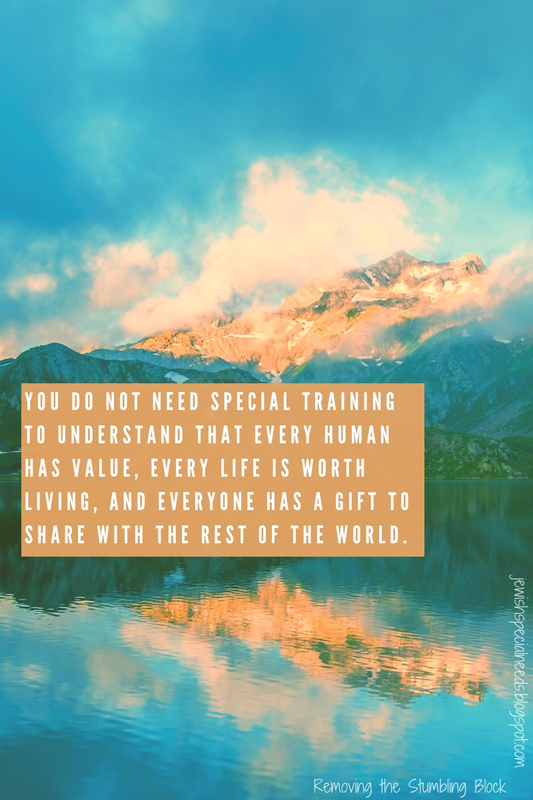 You do not need special training to understand that every human has value, every life is worth living, and everyone has a gift to share with the rest of the world. You do not need special training to be kind, warm, inviting, and open to possibility. You have the ability to break down barriers every single day. You have the power to stop being a barrier yourself, in ways you didn’t even realize. Change your language, change your mindset. When there is something you do not know, ask. Inclusion really can be that simple. 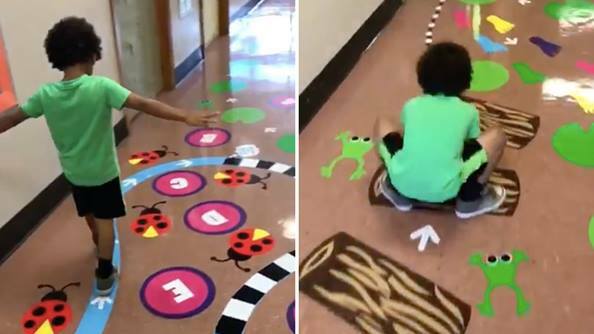 You may have seen the video that went viral of a young boy walking, stretching, and hopping along a path that a special education teacher designed, painted, and implemented in the elementary school where she works. She labored over the path for more than 80 hours, creating something special for the students in her school. A sensory path is meant to help a child use their own bodies and environment to calm themselves down. They use their muscles, breathing, and spatial awareness to make their way through the path and walk away from it reset and refreshed. 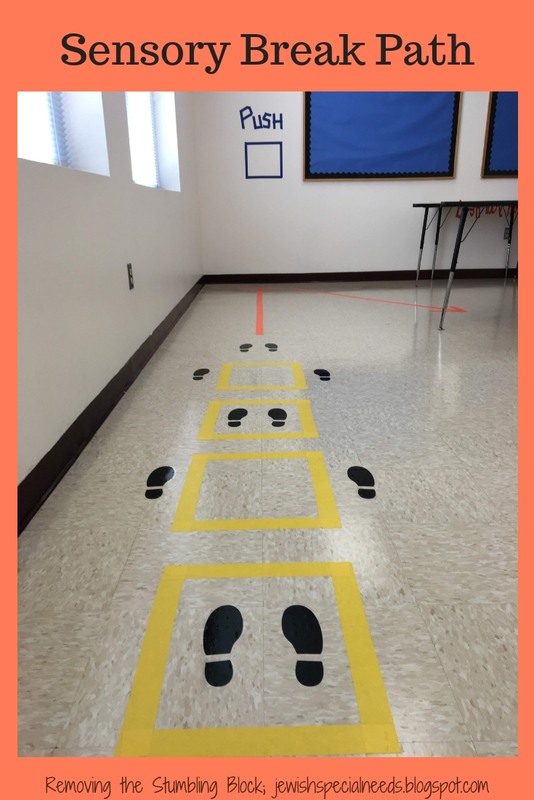 When teachers know certain students in their class would benefit from movement breaks, they can allow students to leave class (in our space the students would leave with a madrich or madrichah - Hebrew for classroom assistant) and complete the sensory break path. It’s a preventative measure, geared toward improving focus and preventing disruptive behavior before it occurs. In our space we already have students who need breaks throughout the session walking laps around our building. I designed this as a productive alternative. 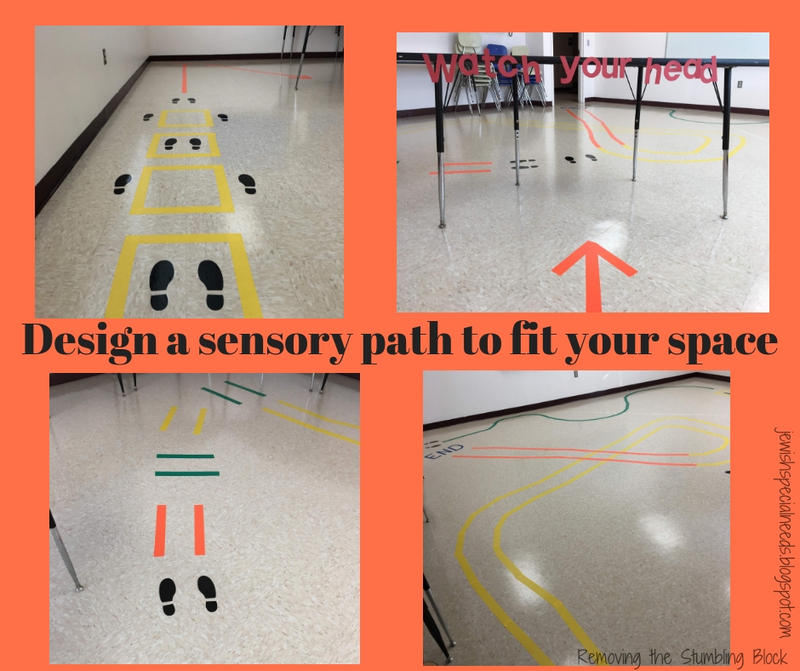 If you’ve seen the sensory path that went viral (image above), it is quite obviously a labor of love, but it is also rather busy. In my opinion there’s almost too much going on. It's always important to strike the right balance between a positive sensory experience and sensory overload. I also think that while wonderful for younger children, this path would seem too juvenile for older elementary and middle school students, who might dismiss it out-of-hand. So, like many others out there, I designed my own. Also a labor of love, I might add; it just took me much less than 80 hours to complete. Rather than paint I used colorful floor tape that can be easily removed. I was aware of the limits of our space. Most importantly, our supplemental religious school serves children in PreK through grade 12, so I was wanted to create something that could be appropriate for the variety of ages. All students can use the path from time to time, to ground them on days when they’re feeling hyped up, anxious, or overstimulated in class. As expected, the space was an immediate hit. The most rousing endorsement came from two parents; one who is a physical therapist and the other who is both an early childhood educator and the mother of one of our students who typically walks laps around our building. My favorite moment was when a few third grade boys came to try it out. One, after whipping through it, declared that it was “too easy”. I tried to explain that it wasn’t a race, but he wasn’t listening. “You mean like our senses?” he asked. The value of using spaces like this, fidgets, or any other tool meant to help a student find success is the context in which the tool is presented. Using the language of “this is a tool to help you” or “let’s take a sensory break,” enables students to more effectively speak about their needs and advocate for themselves in productive and meaningful ways. 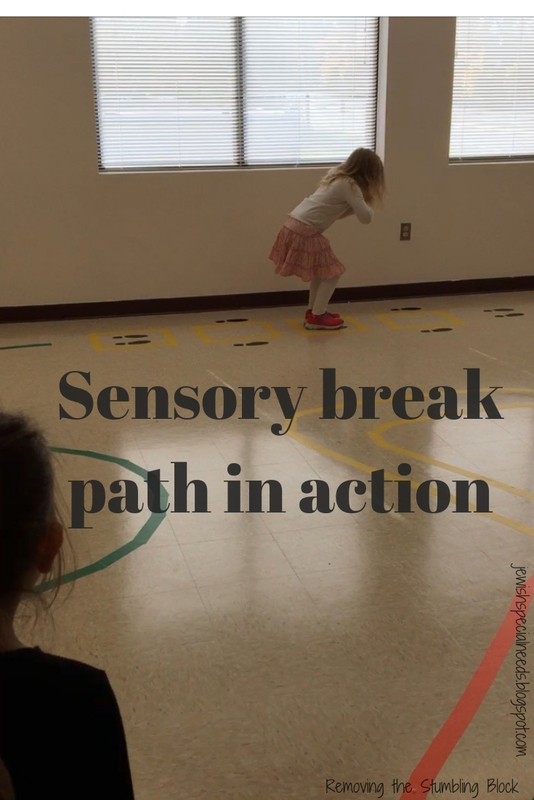 For more research on the benefits of sensory breaks read: The Impact of Sensory-Based Movement Activities on Students in General Education. For more about the value of “brain breaks” read: Using Brain Breaks to Restore Students' Focus. There is a distinct lack of resources for teaching disability awareness, accessibility, and inclusion in a Jewish setting. Curriculum design is one of my areas of expertise. I have experience in developing curriculum for children of all ages, with particular strengths in the areas of teen engagement and experiential education. If you are looking to build or enhance your program, please be in touch. This curriculum, supported by PJ Library, was a collaborative effort by educators from four excellent organizations focused on the inclusion of children with varied abilities in Jewish day and supplemental schools. 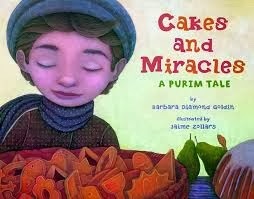 Produced by Behrman House and written by Diane Zimmerman, this is an appropriate lesson for a wide variety of ages. It is designed to enable students to address the driving question: “How can we help guide our synagogue in creating a space that is accessible to all and emulates the Jewish value of lifnei iver lo titen michshol (do not put a stumbling block before the blind)?” What I like about this lesson is that it is well grounded in Jewish text and empowers students to drive the direction of the final product. Finally, an important note: Inclusion and disability awareness are NOT the same thing. Teaching a lesson or leading a conversation about disabilities does not mean you are inclusive. It means you have taught about disabilities. It is important in is its own right, and a valuable component of inclusivity, but quality awareness-raising is only one aspect of inclusive practice. It would be a pleasure to help you design a curriculum that can be used effectively in your setting. To request a sample program or to set up a consultation, contact me. I often use the phrase, "Everything I know I learn from Facebook." While it might be a bit of an exaggeration, I really do learn quite a lot from that quick scroll through the newsfeed a couple of times each day. The Eight Steps of Organizational Change, as outlined by Professor John Kotter of the Harvard Business School, can serve as a framework for organizational change in the Jewish community. 1. Establish a sense of urgency – Without a shared sense of urgency, the process typically goes nowhere. I’m coming back to this in a few moments. 2. Create the guiding coalition – None of us, NONE OF US, can do the work of inclusion alone. 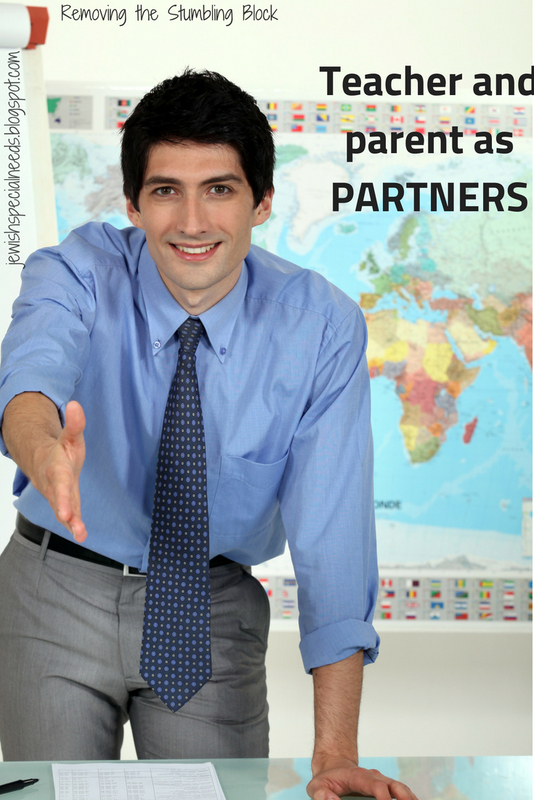 We need partners, and to do this right an organization must assemble a team from the very beginning. Assembling the right team matters, too. 3. Develop a vision and strategy – An organization’s vision provides aspiration, motivates a community toward change, and establishes a framework for making strategic choices. A clear strategy is grounded in the vision with a rational understanding of the organization and provides a logical path toward realizing that vision. In other words, know your why. 4. Communicate the vision – Be transparent. Share, share, share. I can’t begin to describe the number of congregations I have encountered over the years that believe they are inclusive because they host a once-a-year Shabbaton focused on inclusion or they have a committee/task force focud on issues of inclusion, but the vast majority of people in the congregation know nothing about these efforts. 5. Empower professionals and volunteers for action – This is about ensuring that there are changes that can be made and identifying the resources needed for implementation. 6. Generate short-term wins – I typically refer to this as grabbing the “low-hanging fruit”. These are the things that can be done easily and which give a team quick reward for their efforts, thereby helping to build morale and momentum around continued change. 7. Consolidate gains and produce more change – This is often the point where small, incremental gains are celebrated as the conclusion of the larger effort rather than used to propel momentum forward. This is the place to re-commit to more significant goals and push them forward. Communication and transparency are particularly significant here. 8. Anchor new approaches in the culture – This includes structural changes such as changes to by-laws, job descriptions, and/or new program objectives. This is also the place where an organization assesses the attitudinal and behavioral changes that have taken hold within the community. I have said it before and I will say it again: inclusion is not a person or a place or a program; inclusion is a mindset, a way of thinking, and it needs to be who we are as much as it is what we do. A number of years ago a colleague made the following statement that has stuck with me, “There are no emergencies in Jewish education.” It is a profound truth to recognize, especially in education, that your urgency is NOT my emergency. This is not to minimize the things that absolutely require our immediate attention, but rather it is a way to enable us, as leaders, to slow down and give reflective process its due. And yet, here we are talking about creating a sense of urgency around increased disability inclusion. How do we do this in a way that sparks meaningful change but doesn’t provoke anxiety and a misguided sense of immediacy? Urgency can motivate us, urgency can help others commit to our vision, and urgency can compel us to act. So how will you create a sense of urgency in your community? 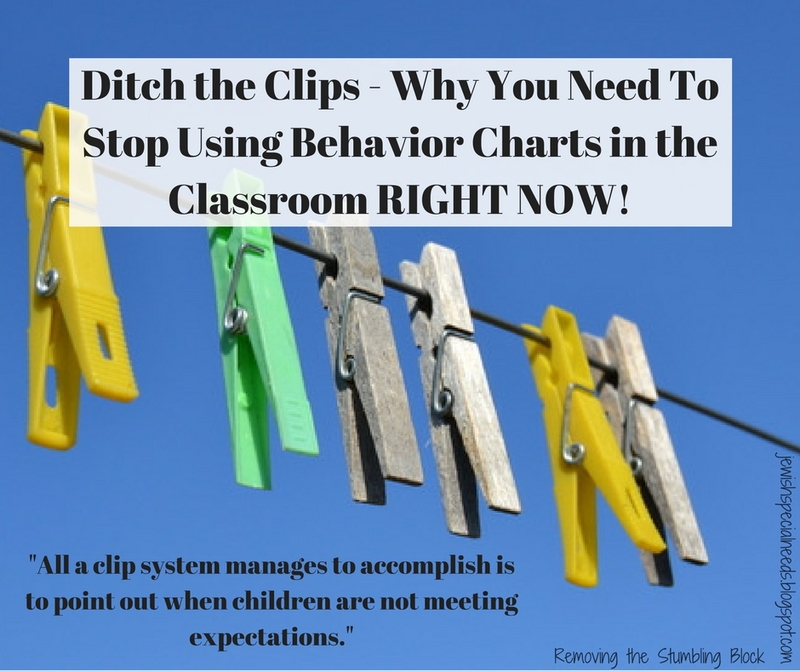 In Ditch the Clips (Stop Using Behavior Charts Part 1), I shared how much I dislike traditional classroom behavior charts. I believe they do absolutely nothing to model and support appropriate student behavior. “I have to disagree that clip systems are 'always' harmful and shaming to students. I use it in my classroom. All students begin the day on green (middle of the chart) and throughout the day, they can clip up or down depending on the choices they make. It is NEVER used to punish “mistakes”. Shall I follow this teacher into the faculty room for lunch? Let’s say she’s having a particularly tough day. Maybe she cuts off a colleague in the middle of a conversation or snaps at someone trying to hand her something. I go to the chart and move her clip (or expect her to do it) down from green. She won’t feel embarrassed or shamed by this? I don’t buy it. Not a punishment? That’s exactly what it is. I will never discount the value of strong parenting, which is exactly what this demonstrates. There is absolutely a way that a teacher could create such a system for this one student, in partnership with the parent, ensuring that it is private and used meaningfully. The alternative is forcing parents to have to explain these systems in ways that their children can better understand. How about when this happens? Let’s be real, not all parents can do it this well. Many parents can’t do this at all. And what about for all those kids who internalize the pain without saying anything? Finally, there are the teachers who say to me, “I would NEVER publicly shame my chickadees, cubs, little lambs (Side rant: CHILDREN ARE NOT ANIMALS! Just call them learners). I put these charts on each one’s desk, not at the front of the room.” Seriously? Are they not visible? Are you really telling me that children do not see what’s on another child’s desk and understand? There are compassionate, positive ways to teach children how to engage in appropriate behavior. 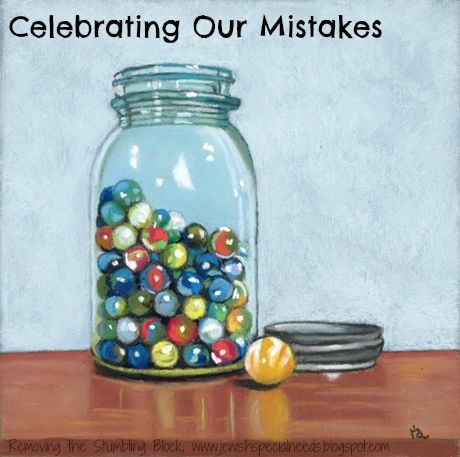 One such option is to develop a system of Celebrating Mistakes. 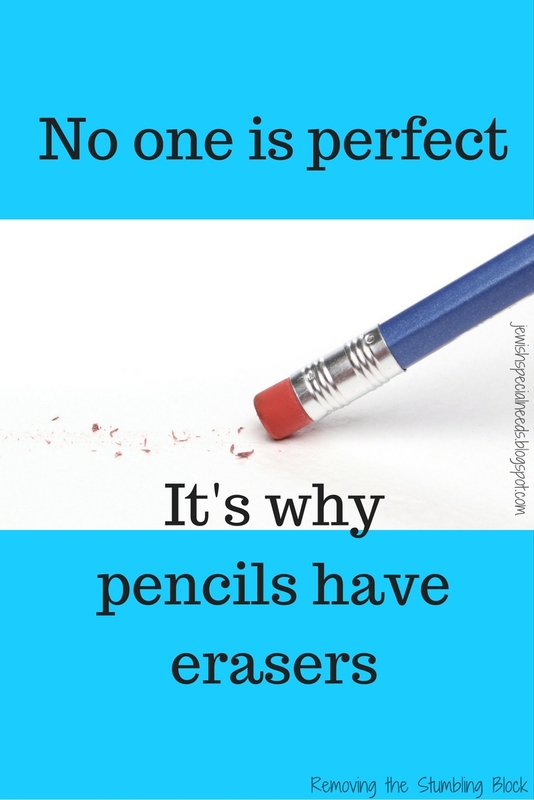 Here, students come to recognize that no one is perfect and understand that mistakes are a healthy, integral part of learning and growing. And no individual student can be identified by name, number, or color. Another lovely alternative is the one Katie Texas uses. She quietly hands students a “ticket” that says “Please stop what you are doing and make a better choice”. This is done in a way that is quiet, private, and simple enough to manage without disrupting teaching. This is terrific! Another methodology is to teach children how to be reflective. Helping them to understand their behavior and make changes that are appropriate to them (again, individualized) is a compassionate and valuable system. Michelle Nelson uses a Behavior Notebook. Finally, there is this concept based in the Responsive Classrooms approach as explained beautifully by Nikki Sabiston in her post Why I Will Never Use a Behavior Chart Again. It is the responsibility of each individual teacher to get to know his class and to build a safe space for learning and growth that supports all learners respectfully. Each will have to select something that fits her personal teaching style and meets the individual needs of students. Whatever you do, ditch the clips!